After nearly two months in China, Sasha and I have holed up in a hotel in Katmandu, Nepal where we’re taking advantage of some unfettered access to the Internet to catch up on the blog and wait for Sasha’s sister to arrive. 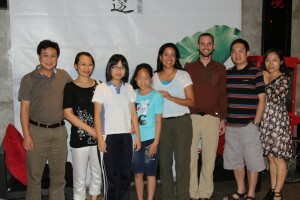 We’ve gotten more questions about China and what it’s like from friends and family than any other place we’ve visited. We’re still soaking in everything we learned from China — some good, some bad — but we wanted to share some of our impressions from our two months in the PRC. This child was thrust into my arms without explanation. Despite opening its doors to the world over 30 years ago, there still remains a massive cultural divide greater than in any country either of us have traveled to so far. During our first five days there, we didn’t see another foreigner. Very few people speak English, especially outside the big cities, making it difficult to communicate and share ideas. Throughout our visit people took pictures with us, of us, and even thrust children into our arms (Fortunately, they took them back). Even if only in degree, all of these experiences were unlike any other country we’ve visited. The Chinese have a healthy skepticism toward foreigners, especially foreign governments, meddling in their affairs. Given their history it’s not surprising, but it has bred an accepted wariness toward things foreigners say about their country. As a result, the Chinese are effectively inoculated from outside critiques something that pairs nicely with their patriotism. The Chinese are a fiercely patriotic people. A combination of their history and their current economic and cultural rise in the world fuels a patriotism that easily competes with America’s and perhaps falls into the category of Chinese exceptionalism. 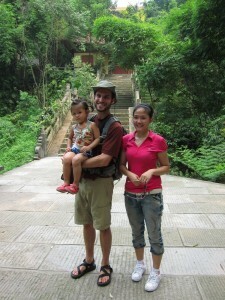 This idea that they have a special role to play in the world is difficult to really suss out for sure, but came up in a few conversations I had with expats who were either married to or dating Chinese citizens. But it’s not hard to understand why the Chinese people are so proud. Aside from their incredible history, they represent what is the greatest poverty reduction success story in human history. Since 1978, over 500 million people have been lifted above the international poverty line. And while the poor are better off, there is also a new class of wealthy in China. It is home to the third most millionaires in the world and still growing. During our two months, we never saw a city that didn’t have at least a couple huge new building under construction. More often, we saw buildings being built by the dozen(s). A small village is what the Chinese call a city with a 3.5 million people. We were never surprised to discover that the thing we were looking at was the biggest, the largest, or the tallest, etc, because it usually was. 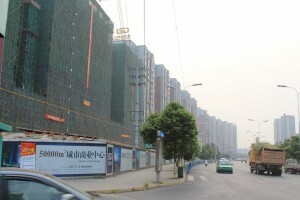 Buildings being built by the dozen. 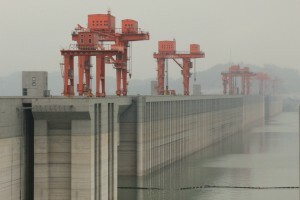 The Three Gorges Dam. The biggest power station in the world. We thought that with China’s rich history of propaganda we’d be in for a treat. We’re used to seeing big public billboards attesting to the greatness of leaders and the government in countries where leaders aren’t elected. 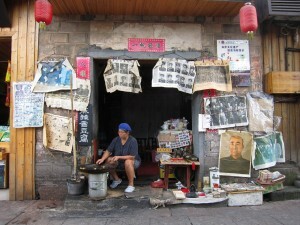 We were both surprised to find China nearly devoid of propaganda except for an old picture of Mao here and there. Of course the state run media more than compensates, but politics here serves only one master — economic growth. The cultural revolution is dead. Old Chinese propaganda on a shopkeeper's walls in Fenghuang, China. 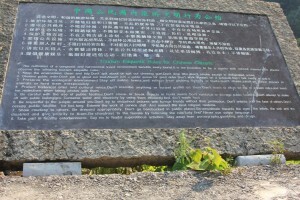 This government sign in Zhangjiajie National Park instructs Chinese people on some of the finer points of etiquette including: "Don't chase, catch or throw rocks at animals", "Don't try to snapshoot pictures of foreign friends without their permission", "Don't sneeze into the face of others", and "Say no to feudal superstitious activities." The cultural divide extends to social customs as well. People rarely smile to acknowledge strangers. If you bump into someone, no apology or even acknowledgement is offered. Line jumping or cutting is common. Spitting, and the process that precedes it, is almost a ritual — much to Sasha’s chagrin. Perhaps most frustrating of all, there was often an unwillingness to acknowledge or attempt to decipher pantomime — a decision that often left us feeling intentionally shunned. To a foreigner, all of this could feel downright rude. But at the same time, many Chinese people befriended us, offered us food, invited us to dinner, toasted in our honor and even urged us to sing karaoke. 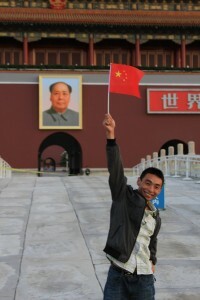 In the same way that Russians don’t smile for pictures, the Chinese people show friendliness in their own distinct way. These two families took us out to dinner not once, but twice. 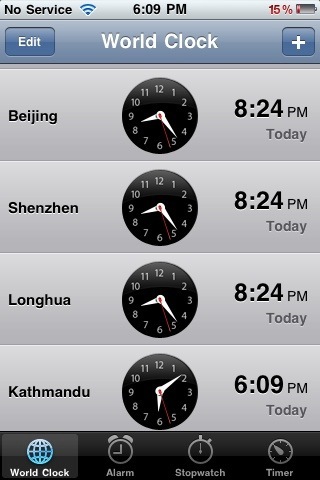 On average the service in China was atrocious. It was unlike any place either of us has ever been. We often felt like the restaurant or the vendor was doing us a favor by selling us their wares. Our only theory to explain why it’s so bad is that two decades of continuous growth means that businesses have never needed good service to bring customers in the door. Tens of millions of people are moving into the city each year. We had the good fortune to talk to the head of guest relations at a Sheraton. He told us about some of the incredible lengths they went to to provide even the most basic standards of western customer service — essentially constant training. This task was made even more difficult by the fact that it is unacceptable in China (people quit) to tell an employee they did something wrong — one can only suggest privately that they try doing something a different way. And to give you some perspective on growth, the Sheraton is opening 32 brand new hotels next year in China alone. 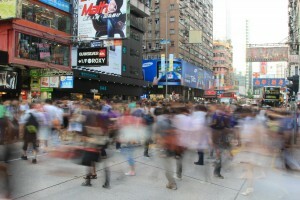 It’s the speed of this economic growth that shapes almost everything in China today. To give you an idea, adjusted for inflation, the average salary in China has doubled every 10 years for the last three decades. GDP is the metric by which regional party leaders are measured. It is transforming the skyline of cities and moving rural inhabitants into the cities by the tens of millions each year. 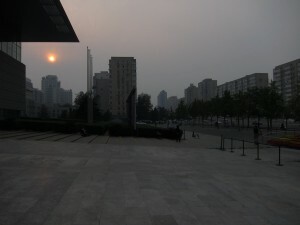 Obscured sun outside of the Capital Museum in Beijing. It’s not all good of course. China is belching pollution that literally clouds the sun from the sky. A bad smog day in Beijing is the equivalent of smoking 3.5 packs of cigarettes in a single day. Or my favorite fun fact, China’s coal power causes 25% of California’s air pollution. Forests are being clear cut, their desert is encroaching on cities, they’re running out of water and their glaciers are melting. China is already an environmental catastrophe, it just waiting to become a human one. But, this economic growth, this tangible and dramatic improvement in their lives year after year, breeds soma-like contentedness despite all of the above. I was told by an expat that there are so many people in China that 50 million people want any given change or believe in any given cause. But satisfaction with economic growth puts all the frustration with an otherwise corrupt, big brother-like, and sometimes brutal government on the back-burner. When I look at our upcoming election back home, it’s commonly understood that a bad economy is bad for people in elected office. The lesson I learned in China is that a great economy makes almost anything forgivable. Of course, an economy can’t grow like China’s has forever. It’s only a matter of time before it shrinks or simply slows down. I wouldn’t want to be in power there when that happens. So very interesting to read. Thanks Josh! Loved it. Great reflections. I shared similar sentiments when I visited China last year. Great post Josh, as ever food for thought too. Keep’em coming, whilst we work.